Today, I'm honored to open up The D-Corner Booth to a good friend here in Indiana who's a true inspiration. 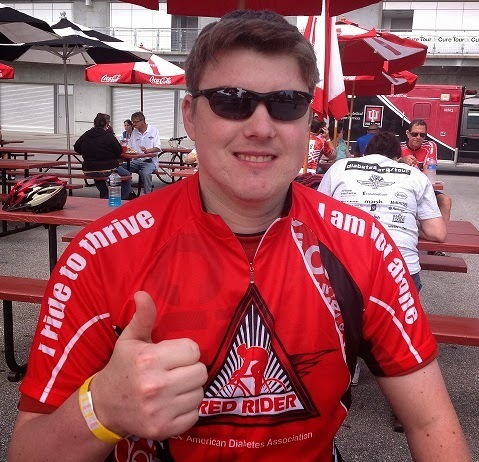 You can find Mike over on Facebook, and as well as at The Indiana Cure Chasers since he's the coach of the JDRF Ride Team Indiana. So, with that - take it away, Mike! My sister asked me recently how often I checked my glucose when after first being diagnosed with Type in March 1973, and she seemed astounded when I replied that, I went to my endo every three months and he’d draw a tube of blood and let me know the results the next day. A lot has changed since then. I can’t remember the last time that I had to pee in a cup and do my in vitro urine test. 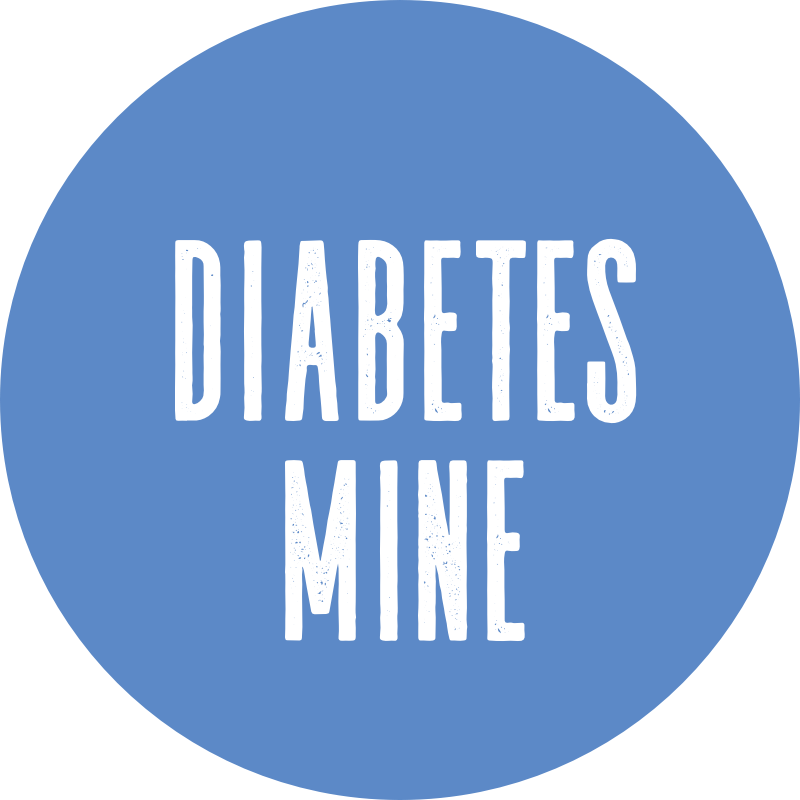 While it’s been a gravel road at times during these 38 years, I count myself lucky to still be what I like to call an “original equipment” diabetic (meaning no complications or replacement parts). Currently, I work in a business to business sales position for a musical import company and sell musical things to music stores to make my house payment. But it didn't start off that way. When graduating from Purdue in 1983, there weren’t a lot of jobs available at the time. I managed to get hired for an Industrial Engineering position, but flunked the physical when the company doctor found out I was T1 and had a 7.1 A1C (a brand new test at the time). My general practitioner at the time told the company doctor I was basically a walking time bomb, so instead I became an Over the Road Trucker for 14 years, and spent a dozen of those years driving with the woman that I was married to for 24 years. Up until the last few years that we trucked, the DOT had not allowed insulin-dependent diabetics to operate tractor trailers, so it wasn’t something I made known. A few years previous to our exodus from the trucking biz, we began doing music. I taught myself how to play guitar when I was 32. In short, getting out of the truck allowed us to pursue music on a more serious level. We started a gothic band, were able to garner some radio airplay, and toured regionally until 1998 when we jumped genres and did what a lot of people described as Celtic-Goth-Alt-Rock. Eventually, we evolved into a Celtic Acoustic Rock Band. It was through the band that I started pumping in about 2002, after hiring a drummer who was on a pump and talked me into trying something new. I had a lot of trepidation and was worried about ripping out the infusion site (which I do), that I would be hard on the casing (which I am), but all in all it has turned out to be a stellar piece of T1 control equipment! That was about 10 years ago and while I still take the occasional short breaks from my R2D2 unit and go back to Lantus and Humalog, I’m very happy to be a pumper! In 2004, we decided to use the band to found a fundraising event we dubbed, “The Beta Cell Bash” and raise money for the JDRF Ride Team. At the time, this cycling team was doing a single venue event in Death Valley where each member of the team would raise $5,000 or more for the privilege of riding 105 miles in the hottest, driest desert in North America. The event lasted for 3 years until the break up of the band in late 2006, with our final show in late November after a great run of more than 1,500 shows, coast to coast tours, getting an award from Billboard Magazine, multiple year finalists in the JP Folks International songwriting contest, and playing in front of audiences that most musicians only dream about! We were able to go out on top in front of a sold out crowd at Radio Radio in Broad Ripple (Indiana). But when we went out at the end of that year, it led me to a new adventure that has turned into a passion for endurance exercise – all to help out the D-Cause! I’ve always been active, which may have been my saving grace with my T1 and general avoidance of complications. During the trucking years, we lifted weights 5-6 times every week and competed in power-lifting. Later, I somehow fell in love with cycling and endurance sports in general. In fact, I’m now a triathlete (A.K.A. a triabetic) and am currently working towards a long term goal of qualifying for the world championship Ford Ironman event in Kona, Hawaii. My cycling has gone from two 100+ mile events to a plan for at least eight events this year and another eight in training rides. My yearly mileage hovers around 7-8,000 miles and my longest single day ride to date was in July when I rode 165 miles between Indiana’s state lines. Also, I’m preparing right now for my 4th Death Valley century ride this October and I am coaching the JDRF Indiana Ride Team. What a turn for the good my life has taken since November 2006, when Beta Cell Bash ended! Now, we’re exploring the possibility of bringing back The Beta Cell Bash for 2012 – we’ll see what the future holds! Hi Mike S. It's always great to hear from another T1 circa 1973 (must have been a very good year for diabetes). Thanks for all the fundraising work you've done. I hope you're able to open for Blünt Lancet at dprom! Mike, you are a Rockstar!